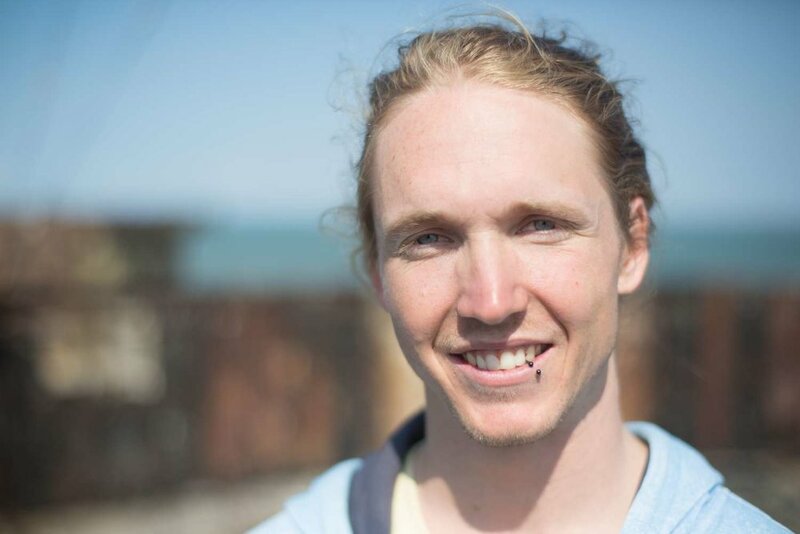 Niklas Winter is a professional slackliner and basejumper who comes from Landshut but lives in Munich. As he used to do tricklining, too, he can be booked for stunts as well. In 2008 I tried slacklining for the first time with a friend and it was harder than expected. But this just made me want to practice it even more, until I learned my first jumps and flips. Today I'm not really interested in the hard-tensioned jumplines anymore. 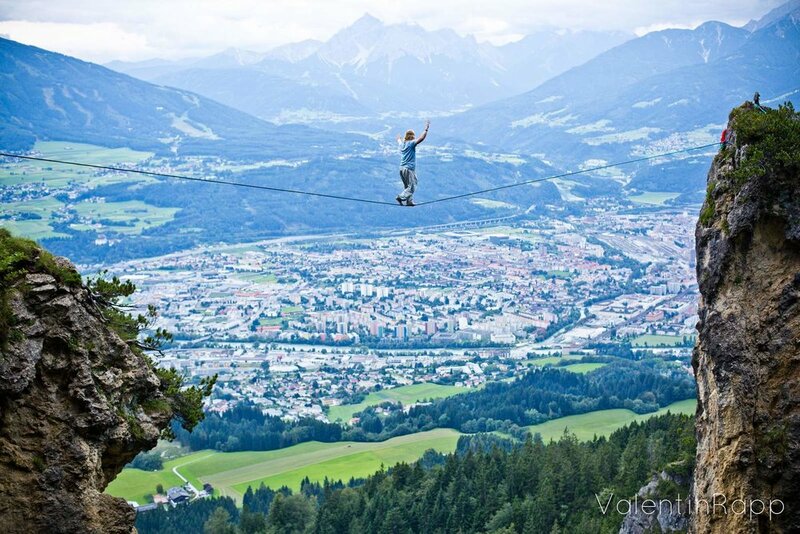 I rather walk on really dynamic, long webbings or on highlines. It's a unique feeling to glide through the air with the smooth movements of the slackline – I like to compare it to flying. Speaking of flying... since 2014 I've been skydiving and a year later I started BASE jumping. 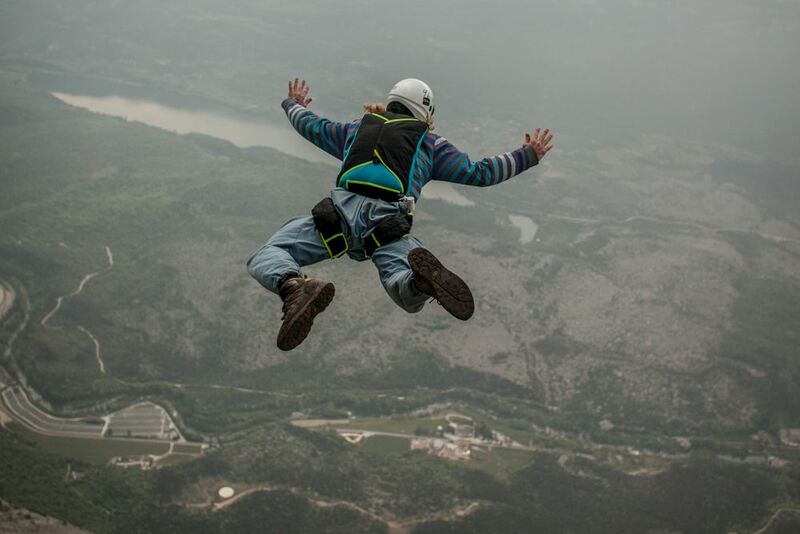 BASE jumping opens up a whole new world to play with. And you won't get much closer to flying, than buzzing along cliffs in a wingsuit. The beauty about outdoor sports is that you get to discover a lot of unique places while making friends all over the globe. Apart from Europe, I already spent time in Australia, Brazil and the USA slacklining, skydiving and BASE jumping and I have always been welcomed kindly by the local sportsmen. 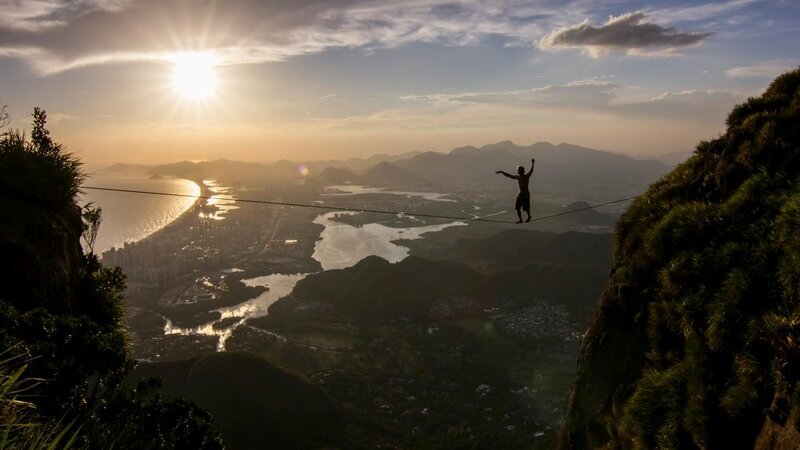 What I like about highlining, besides the great worldwide community is the fact, that you have to face your fears. Already with the slightest doubt in your head, you'll be tense and might fail, while focusing on your abilities would lead to success. So actually, there's more to slacklining than just the sport. It's rather a lifestyle and a mindset - always ready for an adventure while keeping your emotions in balance. BASE jumping on the other hand is another story. While you're putting your life at stake, you should be well aware of your equipment, your skills but also your motives and limits. When your life could end everyday, you realize what is important for you in life. It taught me to be more humble, not just concerning my BASE jumping goals, but also in daily life.